Set Your Heart Free by Francis de Sales offers readers the same spiritual wisdom, encouragement, and spellbinding insights that once drew people from all over Europe to this saint's door. Drawn from Francis's immensely popular writings, this prayer resource for individuals or groups emboldens readers to encounter God and pray in their own unique way. A written invitation to a spiritual journey with a kind and gentle mystic, it is part of the popular and beautifully redesigned spirituality series, 30 Days with a Great Spiritual Teacher. 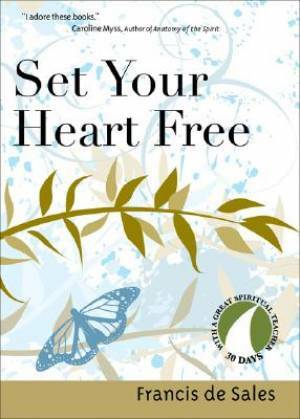 Set Your Heart Free by Sales, Francis de was published by Ave Maria Press in July 2008 and is our 34996th best seller. The ISBN for Set Your Heart Free is 9781594711534. Be the first to review Set Your Heart Free! Got a question? No problem! Just click here to ask us about Set Your Heart Free.